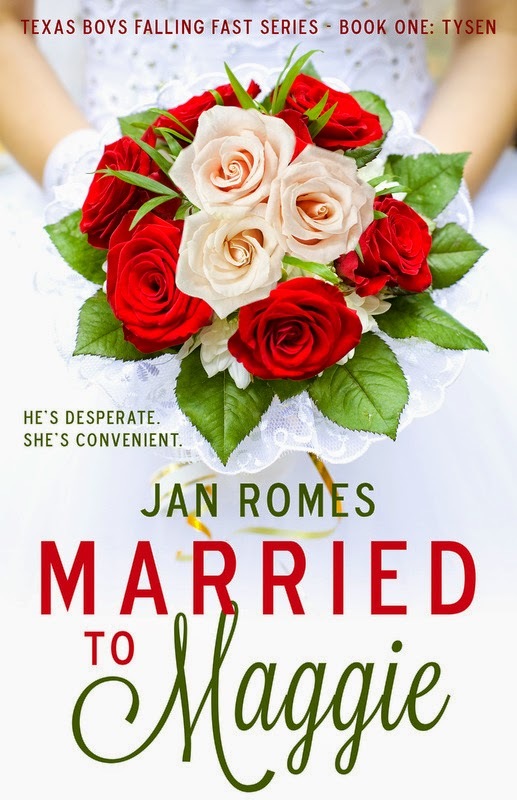 I was excited to see another new release from Jan Romes in 2013. I downloaded it immediately and of course she drew me in on page one. Who wouldn't be when a hot guy is hiding out in an airport from the paparazzi only to be helped by a most unusual woman. 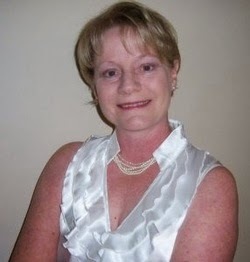 Maggie Gray is a recently unemployed cardiac nurse who wasn't looking to get involved in the oil heir's business, until she witnessed him nearly collapse. The nurse in her kicks in, and before you can say 'y'all' she's being sucked into Ty Vincent's plans to convince his grandfather he's got the right stuff to take over the reins. Little does Ty know, Maggie already know his grandfather, well. The next week is a whirlwind of lies, scotch, rings, belly dancing, parties, capers, stolen kisses, missed opportunities and more twists and turns than your favorite corn maze in the middle of Ohio. Will Ty find out Maggie's plan? Will Maggie find out Loy's plan? Will Loy find out Ty and Maggie's plan? Will love win out? Once again I found myself reading this late into the night and loving every minute of it! With a little help from the most unusual sources Maggie and Ty just might make it to the altar on time! Don't miss this fun and flirty, yet intricate and twisting, soiree with a Texas boy who's falling fast! 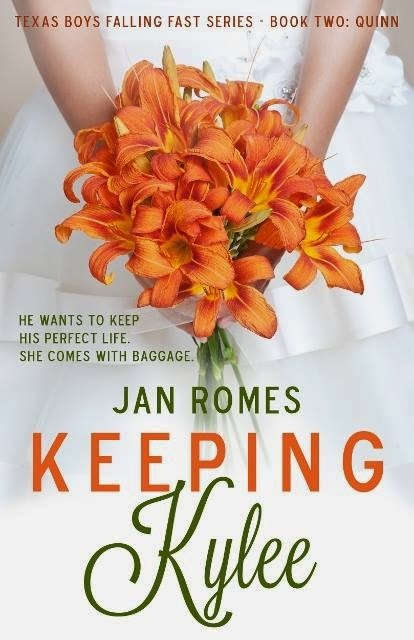 As always happens with Jan Romes stories, the moment I found out Keeping Kylee was out I snatched it up and dug into the story of Quinn Randal. Having met him in Married to Maggie, the first in the Texas Boys Falling Fast series, I really hoped Tori would find a new place to hang her snobby hat! I was never happier on page two of a book in my life! Quinn hasn't changed either he's still an egotistical, self serving Daddy's boy who gets what he wants no matter what. Except what he wants this time can't be bought. Kylee Steels is a full time bartender, part time student, and single mom kind of woman and getting involved with an egotistical daddy’s boy was out of the question, even if he was as hot as Quinn Randal. Her reasons for avoiding men might be a bit melodramatic, but being abandoned does that to a person. When Quinn makes an offer Kylee can't refuse his intentions are not honorable and he'll stop at nothing to keep Kylee. Written in Jan Rome's usual witty, quick, upbeat with a side of serious way, Keeping Kylee is another five star read that will occupy your heart and keep you up past your bedtime, just to see if Quinn, Kylee and little Gabbi get that HEA.